I don't own Katekyo Hitman Reborn, textures and brushes. Ouep ! that"s a amazine work ! why didnt this one highlighted? 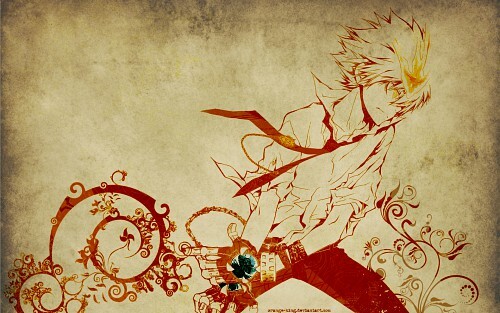 a tsuna wallpaper.. sooo cool! its been a long time since i've seen a KHR wall.. I like the color scheme. Fiery. The parchment background makes look more like flames. great wallpaper. i love hitman reborn. go vongola! Cool! very cool! thanks for sharing! kakkoi-desu! thanks for your hard job!